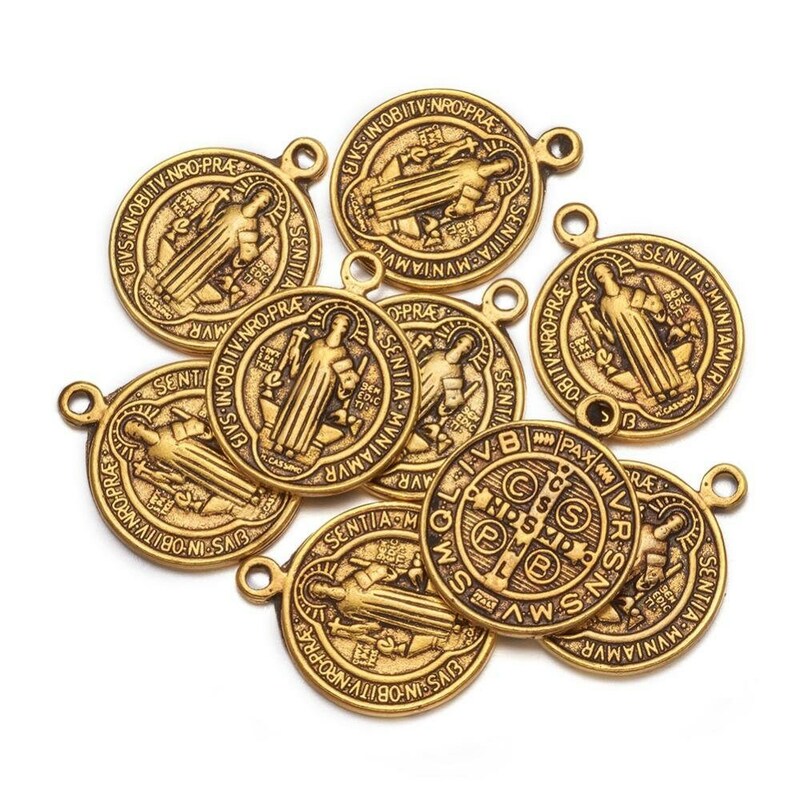 A bulk lot of 20 St Benedict charms in antiqued gold coloured metal. 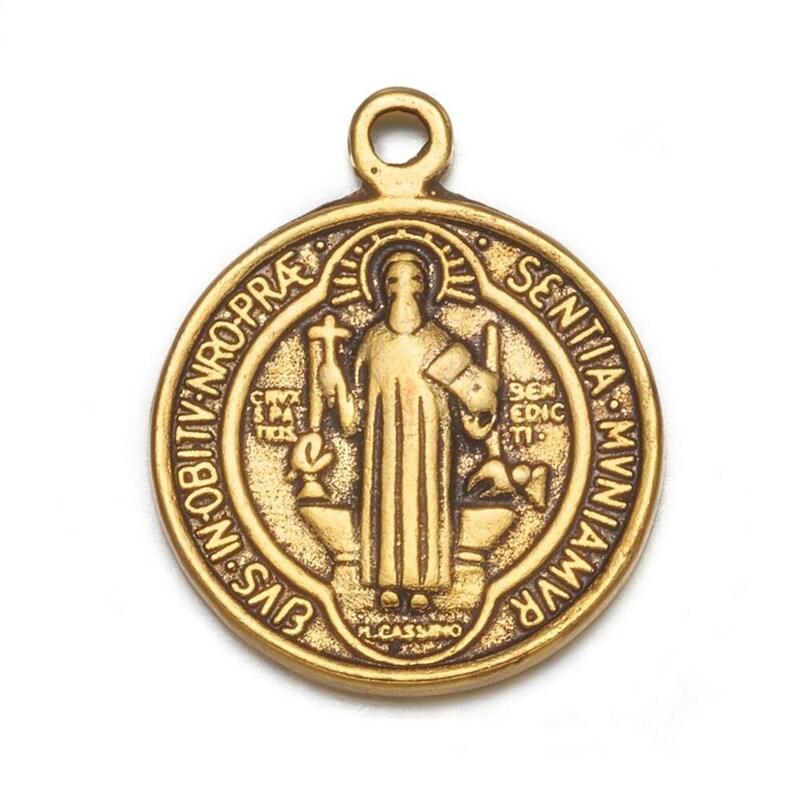 He was the patron saint of Europe and students. One side has a religious figure and the other, a cross. 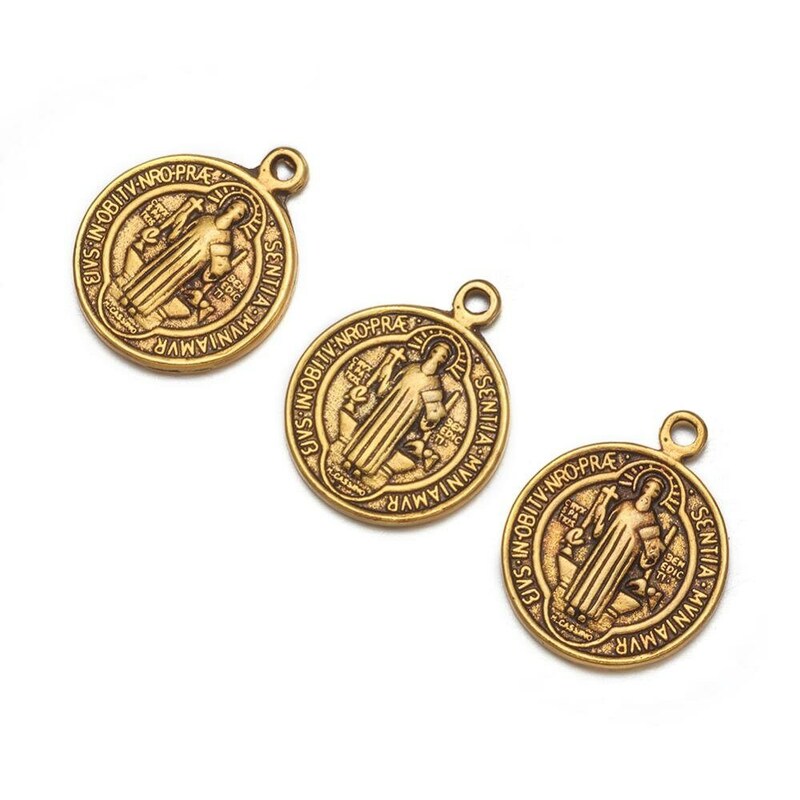 Made from a zinc-based alloy metal, these have detailed designs on the front and back. 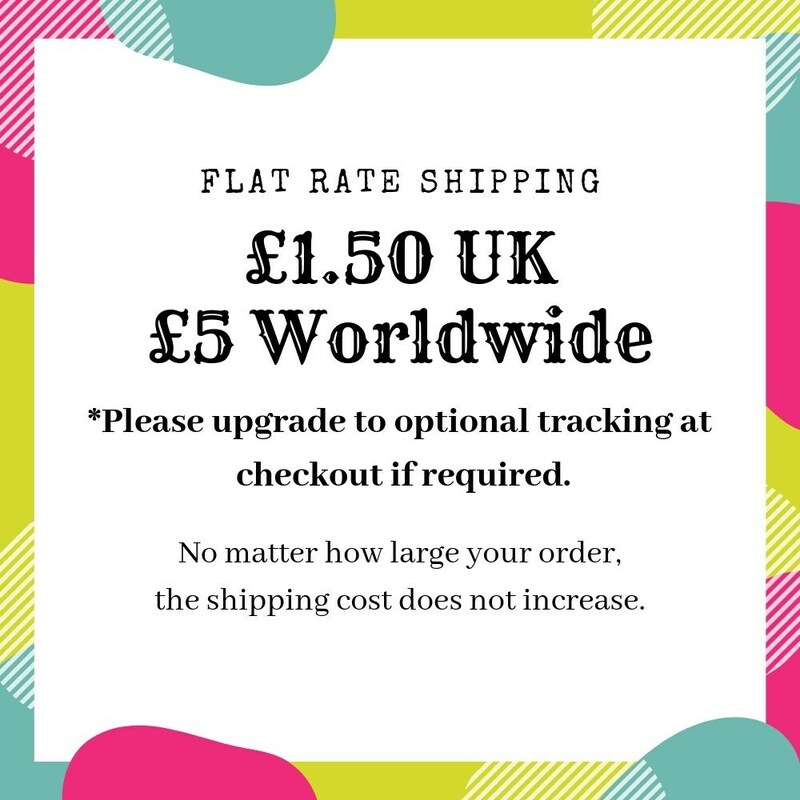 We ship worldwide from the UK and charge a flat rate shipping of £1.50 1st class in the UK and £5 Airmail worldwide, meaning no matter how large your order, the shipping cost stays the same. **International buyers - if you would like tracking with your order, please ensure you choose the optional upgrade at checkout. Standard Airmail does not come with a tracking number. I send by 1st class mail in the UK and Airmail worldwide. Shipping/postage rates are economical flat rate, and I use Royal Mail 1st class within the UK and standard Airmail for the rest of world. Please choose the signed-for or tracked methods at checkout if you require this added on. I'm happy to accept returns within 14 days for items you don't find suitable. Please ensure they are in the same condition you received them and well packaged for return. Contact me for the correct return address within 3 days of receipt please! You are responsible for paying return postage/shipping and only the cost of goods of returned will be refunded or credited. I am not responsible for returned goods until they have been delivered to me so I recommend using a signed-for service. This does not affect your statutory rights. Tracking is not issued as standard on packages sent from the UK. This is an additional extra, and can be purchased at checkout if required. If you don't wish to pay for tracking, I cannot update you on the whereabouts of your parcel, but proof of posting receipts are obtained with every package. Once dispatched, UK orders usually arrive within 1-3 days. European orders, usually arrive within 5-10 days. USA orders usually arrive within 10-21 days. Rest of World, usually arrives within 10-28 days. These times are not guaranteed and are given as an estimate / from experience. If you need an order within a specific time frame, please ask about expedited options as I cannot be held responsible for packages taking longer than expected due to hold-ups by local mail carriers or customs. If tracking is purchased, this can mean a faster service, although is not always guaranteed as international customs can result in delays entirely at the recipient country's discretion. Please be aware photos can make items appear larger or smaller than they actually are. I often photograph items beside 3 international coins for size reference, but ALWAYS have inches and cm listed. If the size is at all important to you, please check the sizes in the description to make sure it's suitable. Raw brass takes on a "patina" when exposed to air. 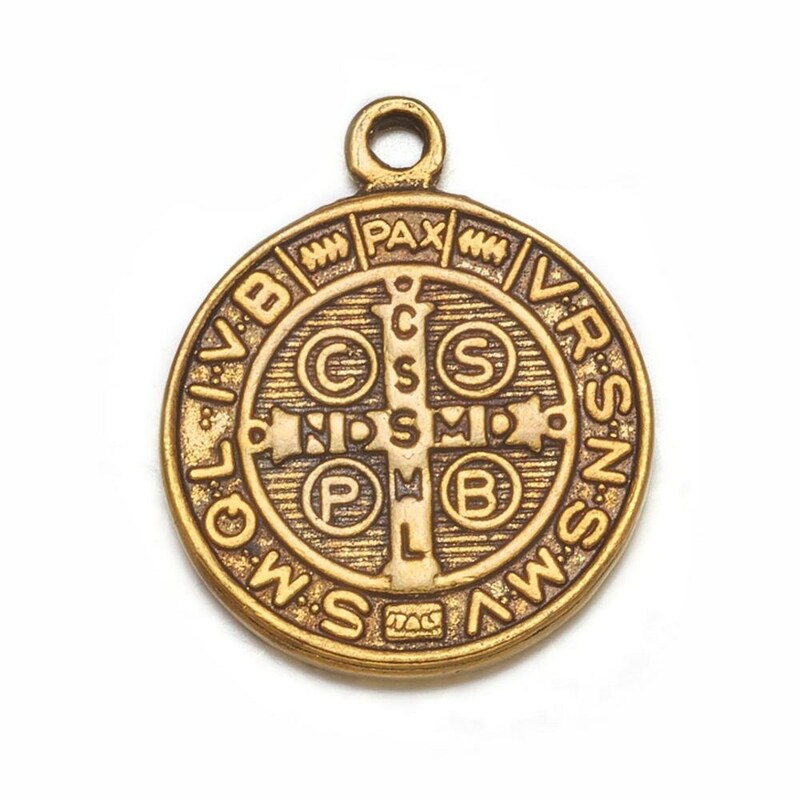 If you prefer your brass to be shiny and goldtone, a commecial brass cleaner such as "Brasso" is a fast way to have it gleaming again. I have a bulk/wholesale section where discounts are offered for small bulk lots (usually 25 / 50 / 100 of an item). If you would like 100+ of an item, it's usually possible for a custom listing to be created with a wholesale discount. Your order has been dispatched from the UK. This means it will take at least 10 days to arrive in the USA. Tracking is not standard on packages sent from the UK and is an expensive add-on to a small order. If you would like to purchase tracking, this is an optional upgrade at checkout. I am always happy to help if you are worried your order is taking longer than it should.